The Parliamentary Constituency of Hitchin & Harpenden was created in 1997 as a result of the Boundary Review. - the town of Harpenden and the villages of Redbourn and Sandridge which were transferred from the St Albans constituency. - the village of Wheathampstead which transferred from the Welwyn and Hatfield constituency. 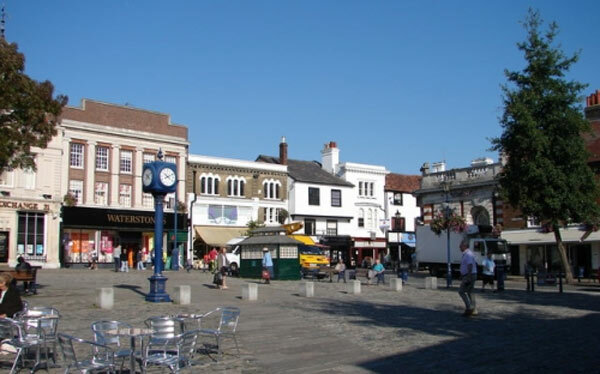 Hitchin is an important old market town whereas Harpenden has only expanded from a small village over the last century. With Harpenden close to the M1 motorway and Hitchin close to the A1 and good rail links to London, both towns have attracted growing population and new businesses. Apart from a similar history and connections with the same county town, there is no other easy or obvious link, particularly as the journey from one end of the constituency to the other is difficult involving, for the main part, minor roads.